Strokes are becoming more common at a younger age, with about one in five victims now below the age of 55, research in the American Academy of Neurology Journal suggests. The study followed 1.3 million people in a US region and found 19% of those experiencing a stroke in 2005 were in this age group, up from 13% in 1993. This is despite a trend of overall falling rates of the condition. The Stroke Association said the findings were alarming. The study looked at all people over the age of 20 in greater Cincinnati and North Kentucky over three periods in 1993, 1999 and 2005. As well as a rise in the occurrence of stroke in the under-55s over this time, from 109 per 100,000 people in 1993 to 176 per 100,000 in 2005, the study also found the average age of those experiencing the condition fell from 71 years in 1993 to 69 years in 2005. Those in the oldest age groups saw a decline in the rate over the same period. Similarly, in the UK there has been a 40% reduction in the number of people having major strokes over the past 20 years. The decline in numbers is partly due to improvements in prevention, combined with an increase in healthy living public awareness. This US study suggests a shift in the age of those experiencing stroke, from the old to the young, although experts say the findings need to be treated with caution. Dr David Werring, a neurologist from University College London, said: “Stroke is usually considered a disease of older people, but this study reminds us that young people are also affected. 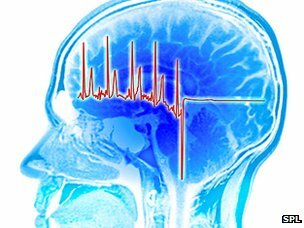 “It is possible that changes in how stroke is detected during the study could explain some of the increase. “The proportion having a detailed brain scan by magnetic resonance imaging (MRI), which is the most sensitive test for detecting stroke damage in the brain, increased from 18% to 58%, which might have increased the rate of accurate diagnosis – particularly in younger people who may have been more likely to have these scans. Experts suggest that similar lifestyles between the US and UK mean the two countries may experience parallel trends – and they warn of a major future public health challenge. Dr Clare Walton, from the Stroke Association, said: “A stroke happens in an instant, but its effects can last a lifetime, leaving many with long-term severe disabilities. “This problem needs to be addressed now. In many cases, a stroke can be prevented and everyone can reduce their risk by making a few simple healthy lifestyle changes.